Rivalry between Red Velvet and Twice: Will they be able to become like GG and WG? On October 20, rookie girl group Twice made a debut by releasing its debut mini album 'The Story Begins' and holding a showcase event. The 9-member girl group is receiving attention from people as JYP Entertainment's first girl group in 5 years since Miss A debuted in 2010. Well, which girl group do you think is the most successful among the rookie kpop girl groups who debuted in 2014 and 2015? Without a doubt, it's Red Velvet. The girl group, produced by SM Entertainment, has achieved a big success with its songs 'Ice Cream Cake' and 'Dumb Dumb', topping various music chart shows. 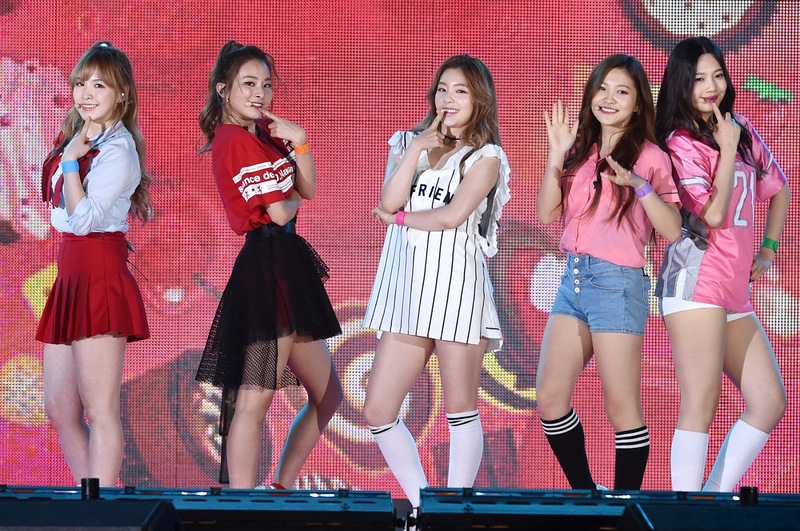 Red Velvet is the only rookie girl group who ranked first on music chart shows in 2014 and 2015. By the way, doesn't the rivalry between Red Velvet and Twice remind you of their senior girl groups? Yeah, those are SM's Girls' Generation and JYP's Wonder Girls. The girl groups, both of whom debuted in 2007 were the biggest rivals in the world of kpop. And I'm sure that the rivalry between the two most popular girl groups in kpop history boosted the kpop industry, drawing attention from kpop fans around the world. Hopefully Red Velvet and Twice will be in a healthy competition and grow up as representative kpop girl groups. Check out what the Twice members talked about their debut album at the showcase event. Q. You finally released your debut album. How do you feel? Jihyo: As you know, our team was formed through a survival program, and many people took an interest in us. Thanks to them, we can hold a debut showcase too. I'm happy because it seems that many people like our debut song. Q. Don't you feel burdened about the fact that you are JYP's first girl group in 5 years? Chaeyoung: That's why we prepared a lot for our debut. It's just the beginning and we'll try to show our development. Q. What do you think is the strong point of each member? Jihyo: We have many members, but each member has a marked individuality. Jeongyeon: My hair is short and I'm boyish. Tzuyu: I'm the youngest, but I'm the tallest. Jihyo: I've been trained for a long time and I the leader of the team. Mina: I love to play, but I have a calm personality. Nayeon: I laugh readily and I'm positive. I hope my bright energy will be delivered to the public. Momo: I've been dancing since I was very young. I think I'm charismatic when I dance. Dahyeon: My nickname is tofu because my skin is white and soft. And I'm quiet but I get really excited when I listen to music. Sana: People say I'm off the wall. I think I'm different from other people. Chaeyoung: I'm the second youngest member and I'm the shortest member. As I rap, I think I'm charismatic on the stage. Q. The title track 'Like OOH-AHH' is not written by Park Jin Young. What do you think of it? Jihyo: I think our company try many new things for us. The company has great expectations for us and has faith in us. I think we have to do a great job. Jihyo: We want to be a stylish girl group. And I hope we will be able to become a representative kpop girl group who is well-respected by many people.